Warning! 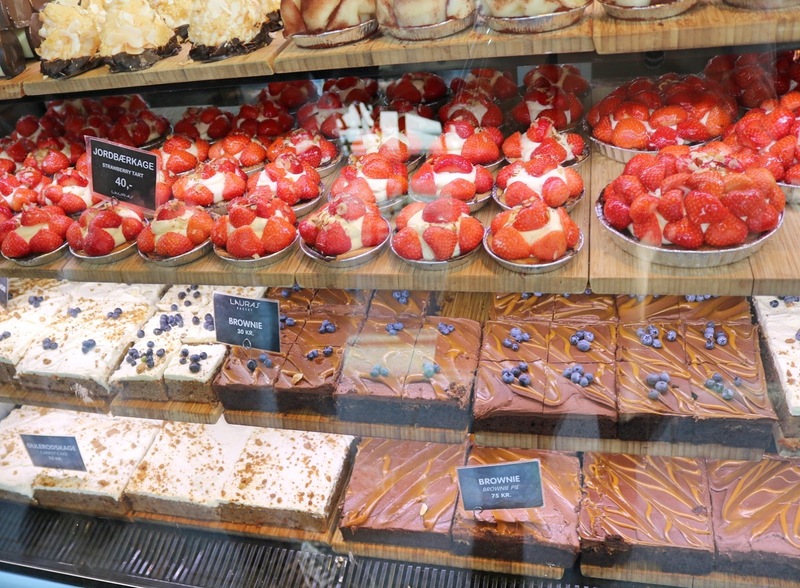 This post may make you hungry! 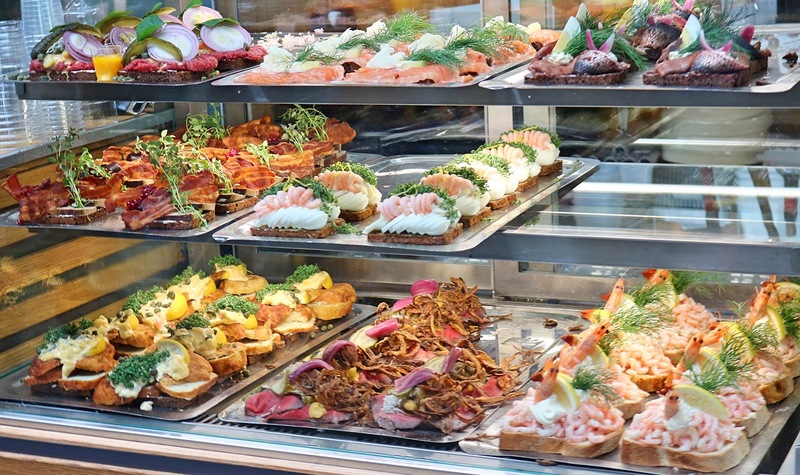 Above is pictured a display of Smørrebrød, the famous Danish open sandwich, in Torvehallerne Market. Don't they just look delicious?! Keep reading for more amazing places to eat in Copenhagen. Torvehallerne was a short walk away from the Metro Stop Nørreport and one stop over from Forum which was close to where we were staying, so it was very convenient for us. We went here every day for breakfast and had a wonder around to look at the stunning food displays. Think Borough Market except Danish style! Take a look at my recommendations below. Pictured above, we just had to try Grød whilst we were in Copenhagen. 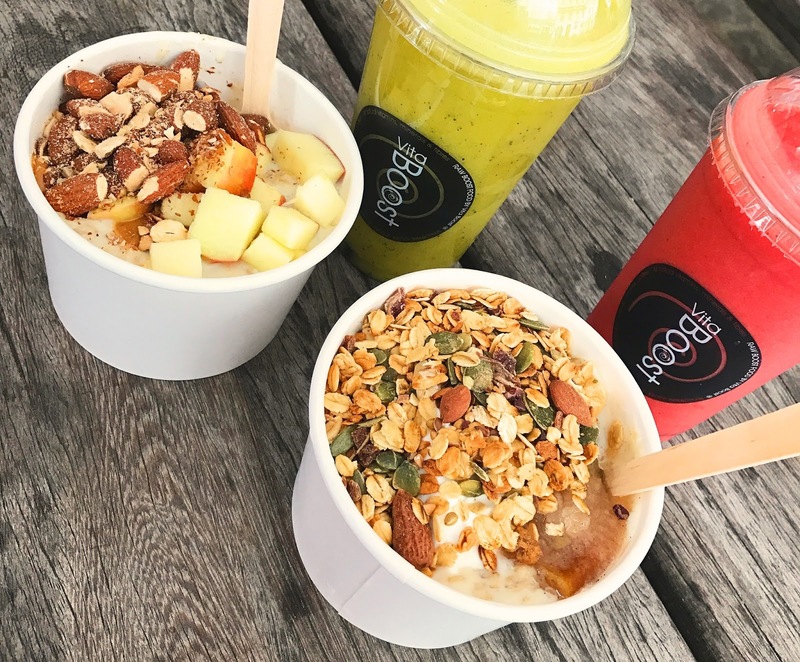 It's tasty, hot porridge served with delicious nutty granola toppings and fresh or stewed apple. I was a huge fan of this and have since tried to replicate it though it's not quite as good in the UK. 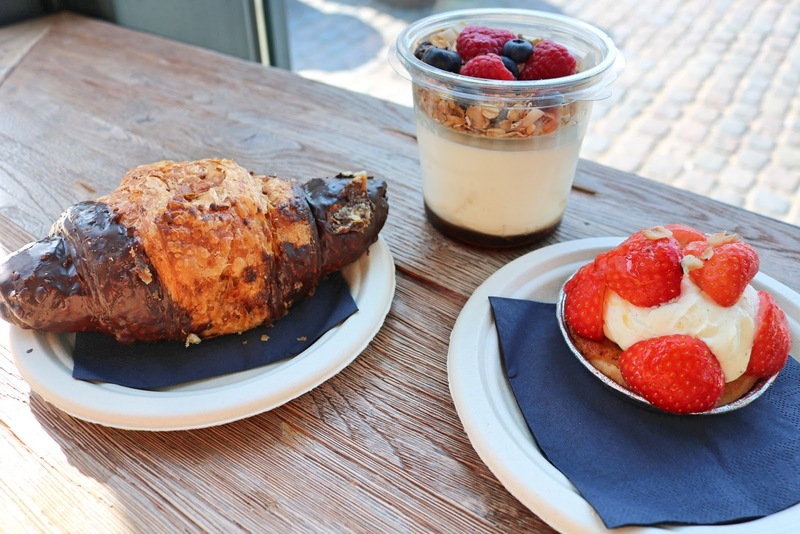 Grød is the place to go when visiting Torvehallerne and is always very popular with both tourists and locals. Vita Boost is a smoothie bar, which also serves light-bites. The Very Berry Merry Smoothie was my favourite. Pictured below, we ate at Laura's Bakery the first time we visited Torvehallerne and that experience left us wanting more. We opted for a pain au chocolat (which had also been dipped in chocolate for good measure), a strawberry tart and Greek yoghurt topped with granola and fresh berries. We split it in two and shared everything so that we could try a bit more without getting too full, which was a great idea. The granola was incredible so I bought some, to take home with me. 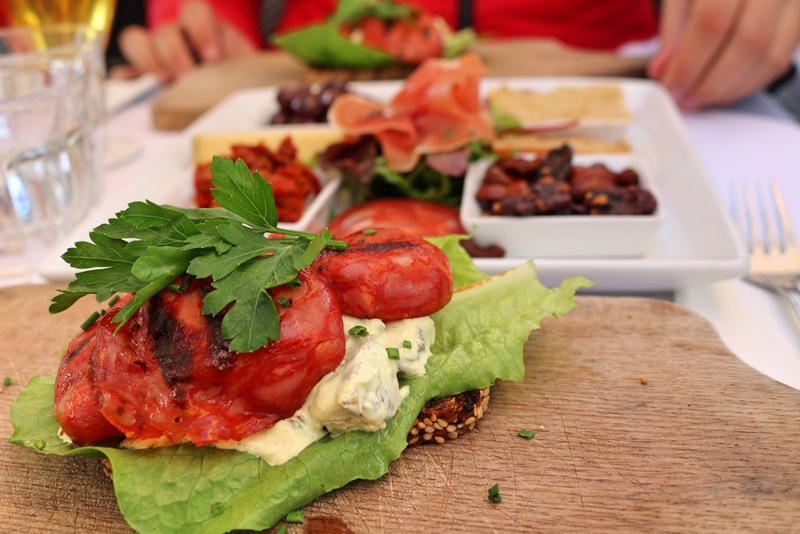 Pictured below is a classic Danish dish - Smørrebrød. It is essentially an open sandwich on rye bread. On this one, we had a cold chicken salad topped with chorizo. It was very tasty and unlike anything I had ever tried before, so I am glad I experienced it. Pictured below, the hot dog stand sits by Rundetaarn (The Round Tower). 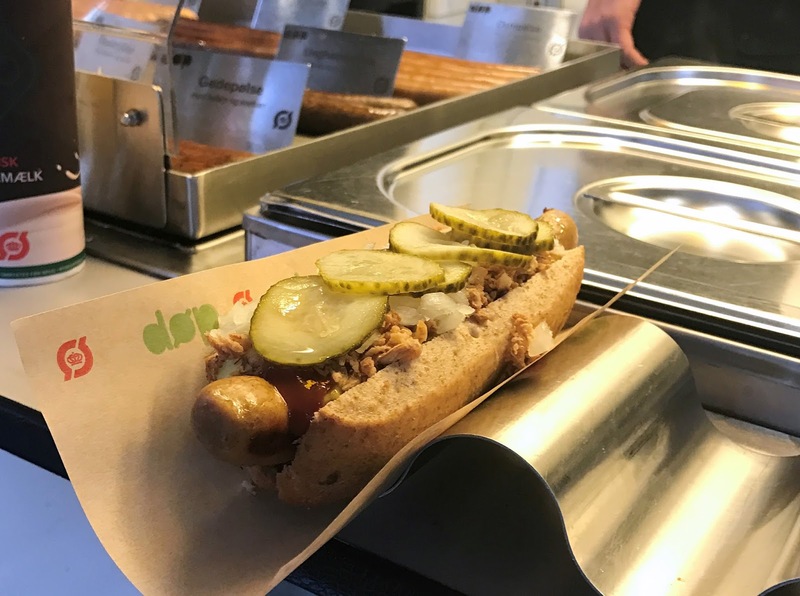 Besides from the traditional Danish smørrebrød, there is nothing as Danish as a hot dog stand. They are everywhere! Everything is organic from the onions to the sauce and it was so incredibly tasty. Copenhagen Street Food serves up food from all over the world and is situated right on the harbour. It's perfect for hearty meals served with a cold beer or cocktail, which is exactly what we did when we visited. The food market offers food from Mexico to Korea as well as traditional Danish food and drink. 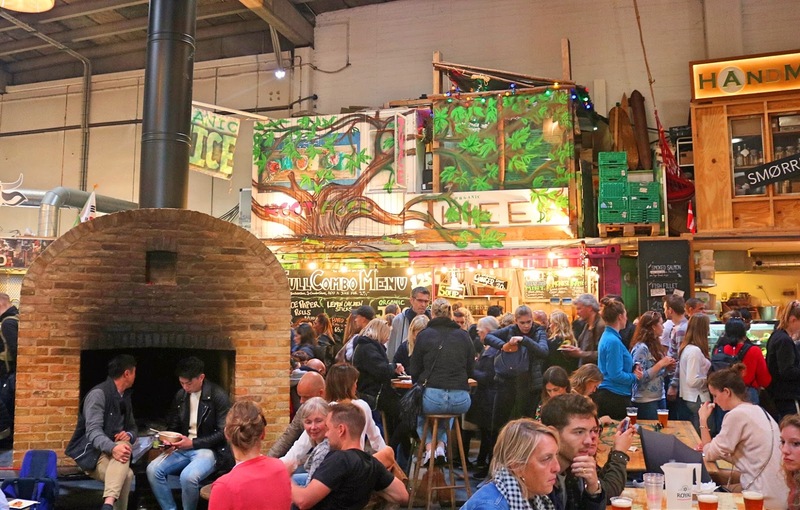 The whole place is incredible with a very Danish, Hyggelig feel to it, as it had a huge fireplace inside and cosy spots to sit, eat and drink. Whilst we were there, we saw people of all ages, cultures and nationalities as they simultaneously caught up and chowed down. 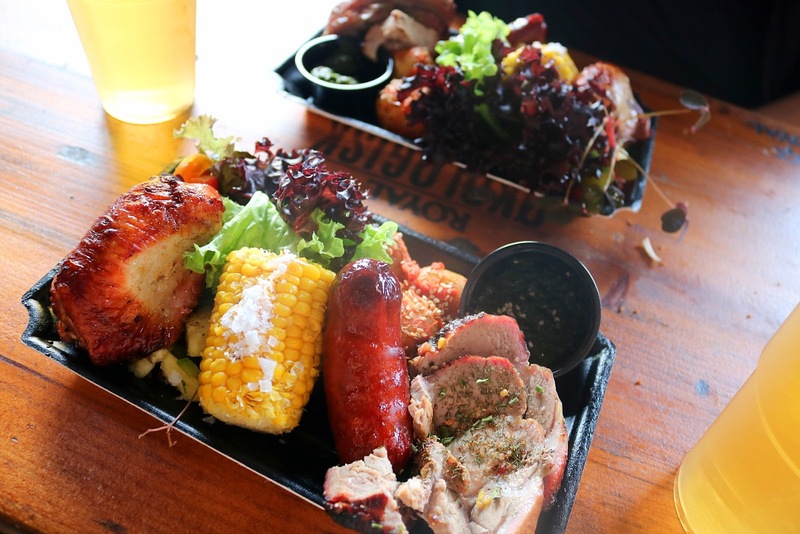 We opted for the Brazilian option as it looked incredible, I am sure you will agree (pictured above and below). I could not recommend a visit to this place enough! Plus it's not too far from Nyhavn and Christiania - two of my favourite spots to visit in Copenhagen. 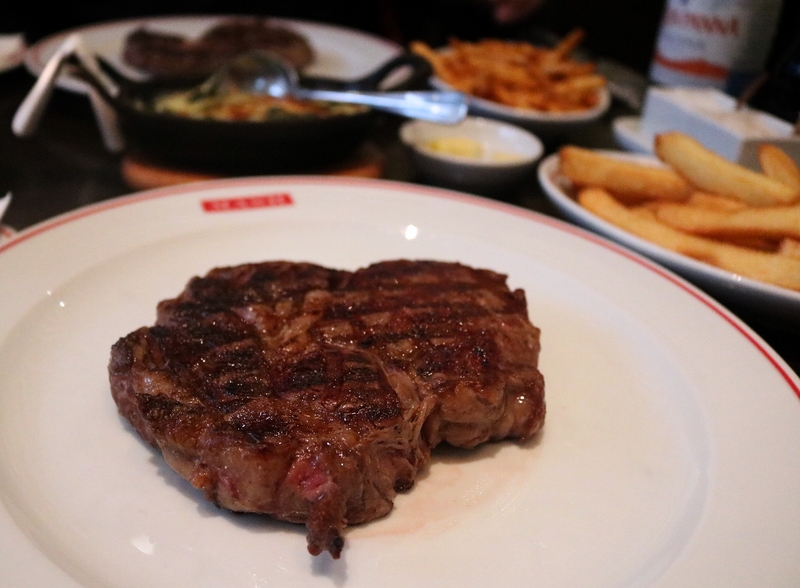 Pictured above, MASH, which stands for Modern American Steak House, is ideal for a relaxing sit-down meal when you are craving a good-quality steak. It really was the best streak I have EVER tasted. We chose a Uruguayan Rib-eye steak which was one of the cheapest on the menu, but even still, with just 2 steaks, 2 fries, a side of creamed spinach and 2 cokes, the bill came to around £100. This is a quality steak house and they even offer the famous Kobe steaks from Japan. 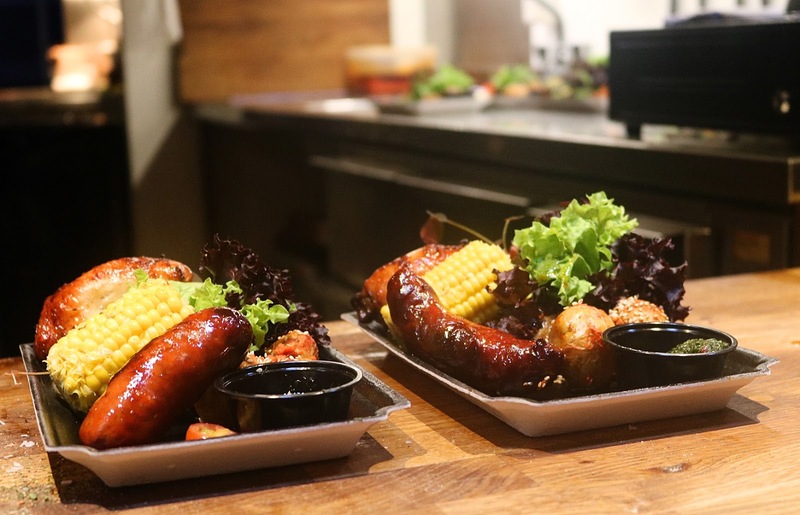 The chain of MASH restaurants originated in Copenhagen and there is now one in London, if you wanted to give it a try closer to home. Pictured below, this was a favourite of mine when we took a stroll along the harbour of Nyhavn in the evening. We sat along the harbour and ate our warm Belgian waffles with Daim flavoured ice-cream. I noticed the restaurants didn't really serve any desserts that were quite as decadent as this, so I would recommend visiting an ice cream parlour once you've finished your evening meal. 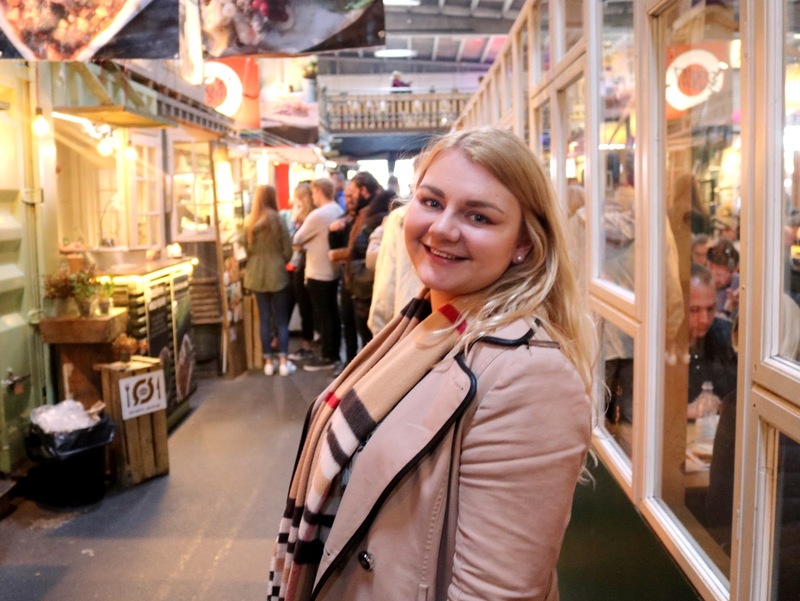 Food is such an important part of Danish culture and I am a huge foodie so I really enjoyed experiencing the different sorts of foods and markets the Danes have to offer in Copenhagen. If you have never been to Copenhagen, I highly recommend a visit! Not only for the food, but to experience the sights and sounds too. 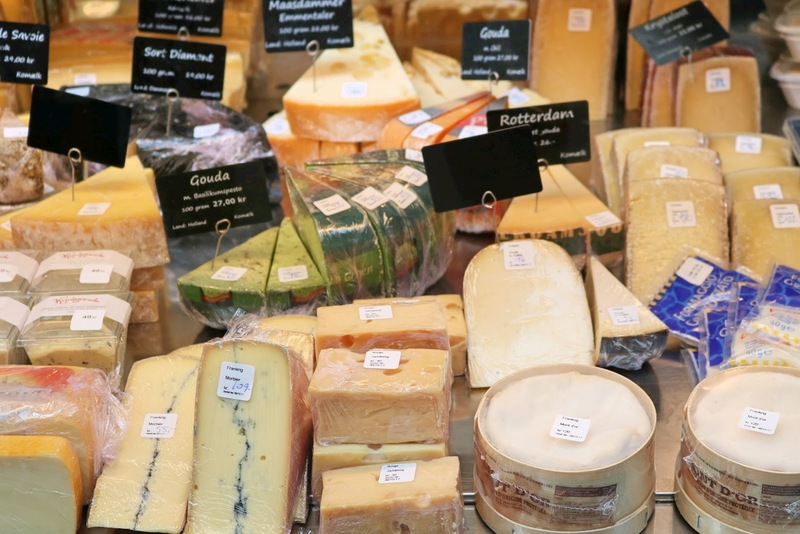 I hope you enjoyed my post on the food of Copenhagen and if you have anything to add, I'd love to know so please leave me a comment and I'll get back to you. Any questions, just let me know. © Amber Cadden | All rights reserved.